After years of patient requests, PT3 is proud to share that we now have a Private Client Center. Just like our unique approach to physical therapy and private training, this location is no different! With 3 modern, private training rooms filled with state of the art equipment, our therapists are able to provide a treatment that gives the patients the individual attention and care like they get at home with equipment that would only be found in a gym and/or clinic. Heading South on Miller Rd. 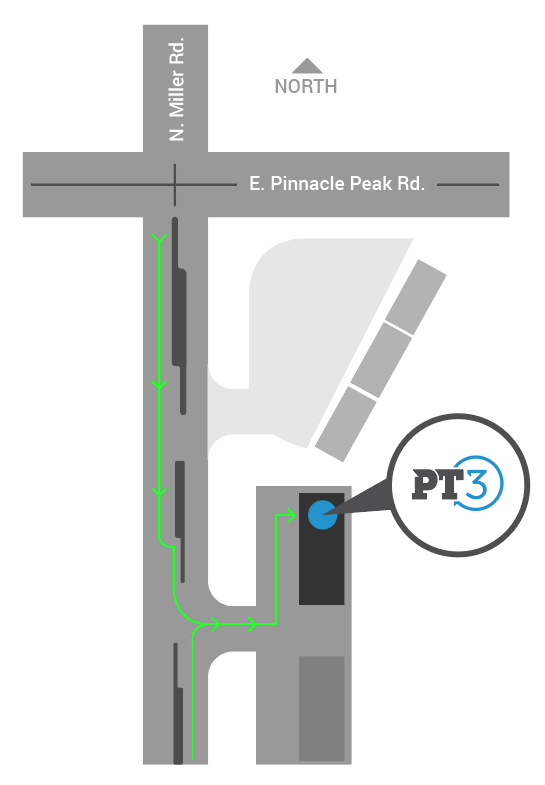 We’re located just south of Pinnacle Peak Road. Heading North on Miller Rd.